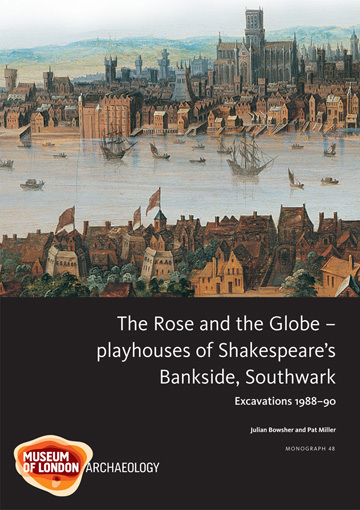 Our team of archaeologists have embarked on an exciting new excavation at the site of Shakespeare’s London playhouse and Hackney’s first Scheduled Ancient Monument, The Theatre. The work is underway to prepare the space for a new development, The Box Office, which will place the in-situ archaeological remains of The Theatre centre stage in an exhibition dedicated to exploring Elizabethan commercial theatre culture, and how The Theatre came to be one of the most important places in the story of Shakespeare in London. Shakespeare’s plays are known to have taken four hours plus to be performed and academics from Before Shakespeare believe there were cues in his plays to keep the attention of theatregoers, with plot recaps and clues about what comes next, something evident in Hamlet. The new archaeological evidence from The Theatre indicates how Burbage was creating a Theatre Complex with enough space for audiences to mill around and socialise during these long performances. It’s a rare and exquisite opportunity to peer into the much-fantasised about experience of going to a Shakespearean playhouse. 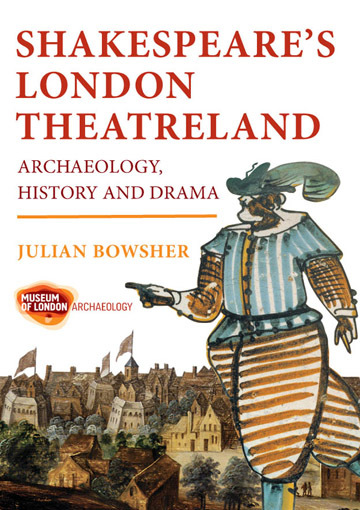 The exhibition, which will feature a viewing window onto the in-situ remains of The Theatre, which haven’t been seen by the public for over 400 years. It will display new discoveries made during the dig, iconic artefacts from our 2008 excavations and objects loaned by institutions across London. It will be fully accessible and open to the public towards the end of 2019. The drama is set to continue outside of the building, where the scene is set for transformation. A beautiful art-wall evoking the tragic romance of Romeo and Juliet, two of Shakespeare’s most famous characters, has recently been unveiled by renowned street artists Global Street Art. The plans to further echo the area’s rich theatrical past include the installation of a William Shakespeare statue, a landmark commission designed and sculpted by Raphael Maklouf and Hayley Gibb. The construction of the new building and exhibition space will be undertaken by The Box Office New Inn Broadway Limited, a subsidiary company of the Belvedere Trust. Adding to Hackney’s inimitable artistic appeal, the new space will encompass the cultural and creative forces that have been flourishing in Shoreditch for over 400 years and evoke the drama and excitement of Shakespearean theatre. By partnering with artists, sculptors, archaeologists and top museums, it’s hoped that it will be a go-to destination for dramatic events and act as an important educational resource for the local community.